Three berths in Qingdao can serve the latest big ships. 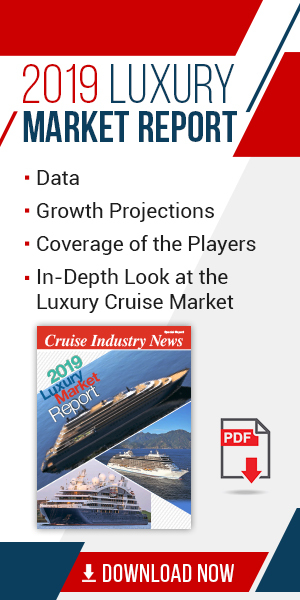 Port officials told Cruise Industry News that they offer a one-stop shop for cruise ship turnarounds, including helping coordinate ship supply, customs, inspections and more. Around the cruise port, the city is busy building a five-square-kilometer commercial area with hotels, shops and entertainment venues. Qingdao is located in Shandong Province, which is said to be the largest source of Chinese crew members, according to Jiaquan Wei of the Shandong Maritime Bureau Ship Crew Department. Business is consistent at the port, with 88 calls scheduled this year after 95 in 2017. Customers include the Costa Fortuna, Costa neoRomantica, SuperStar Virgo, SuperStar Aquarius, Chinese Taishan and Glory Sea. In addition, a new start-up brand, Elite Cruises, has announced it will sail from Qingdao. No further details have been revealed.